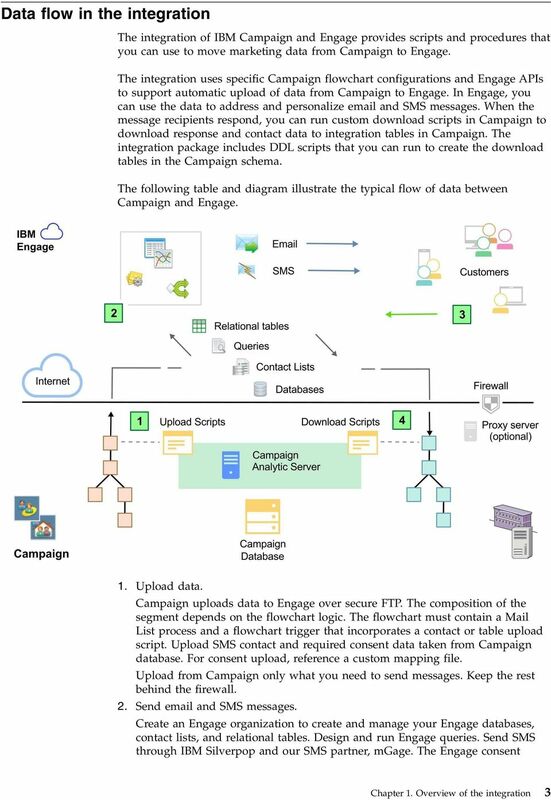 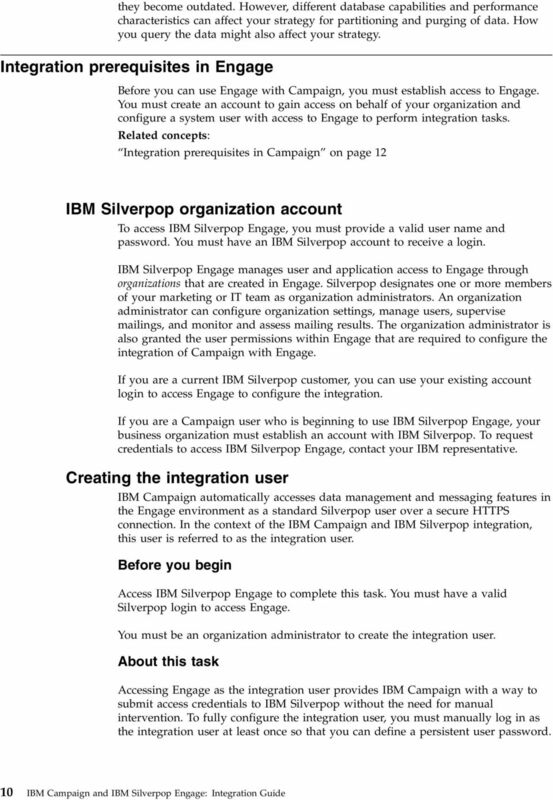 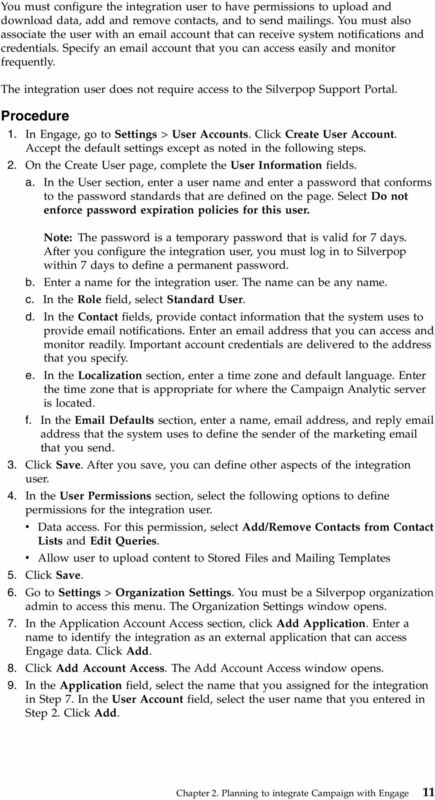 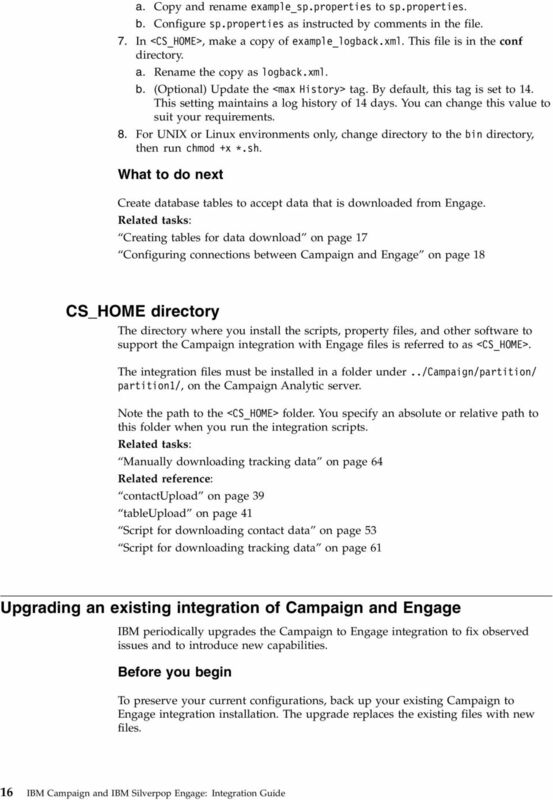 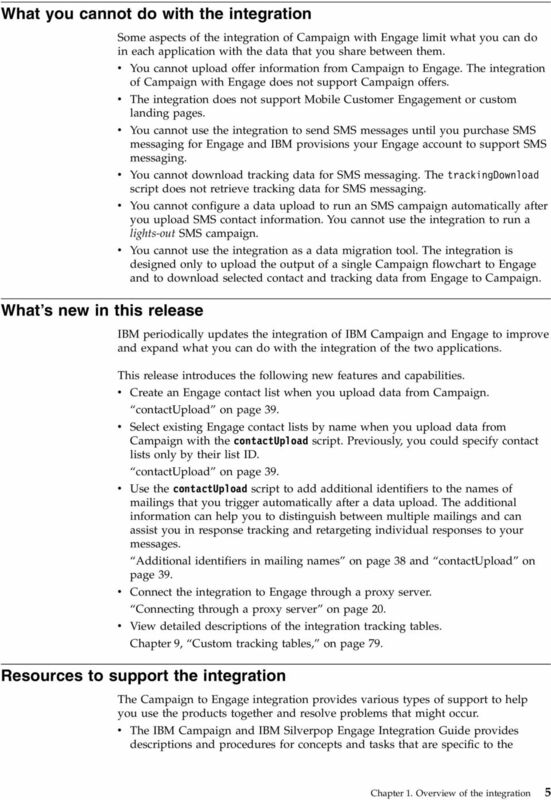 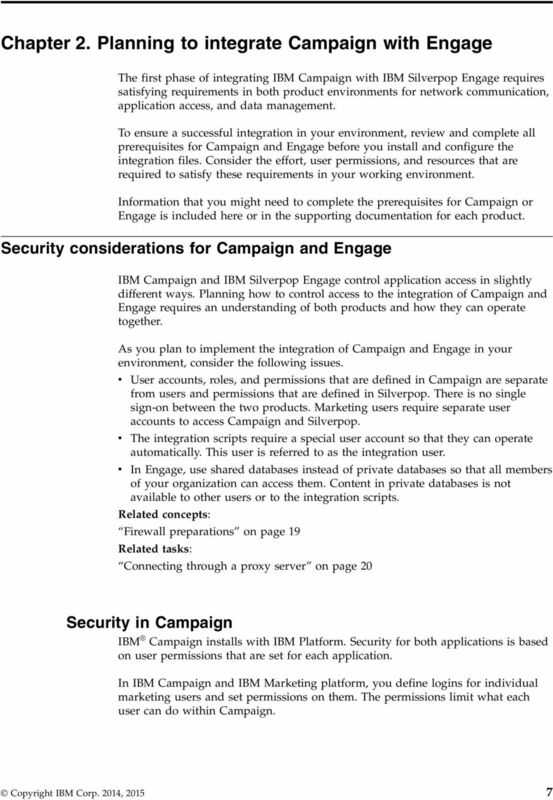 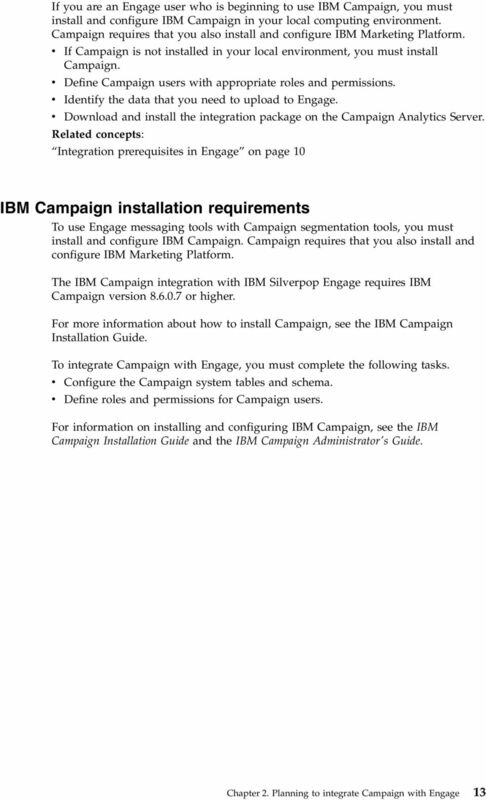 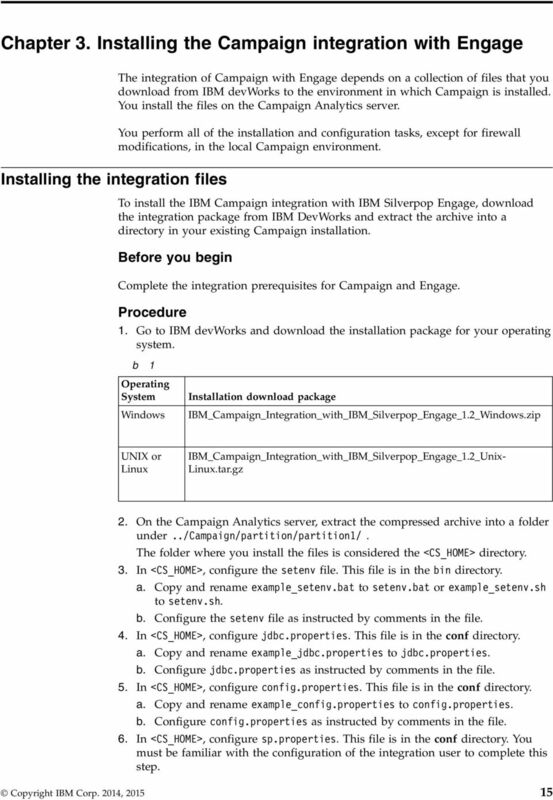 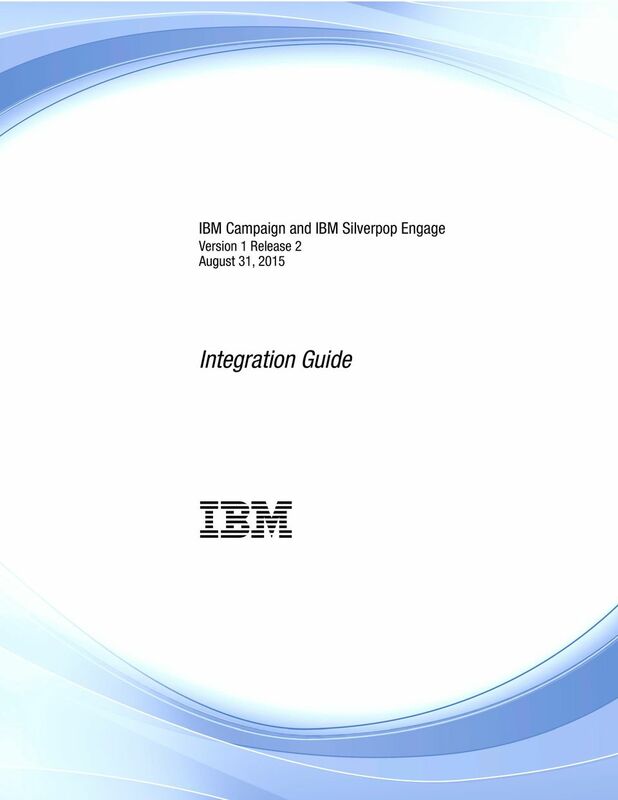 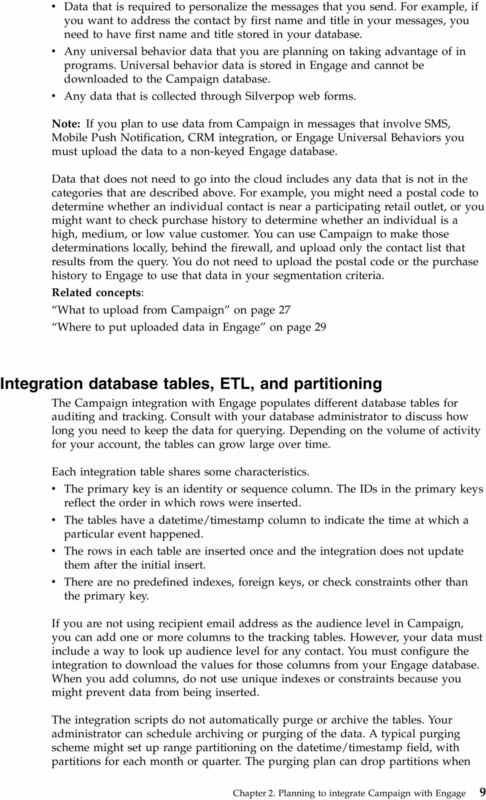 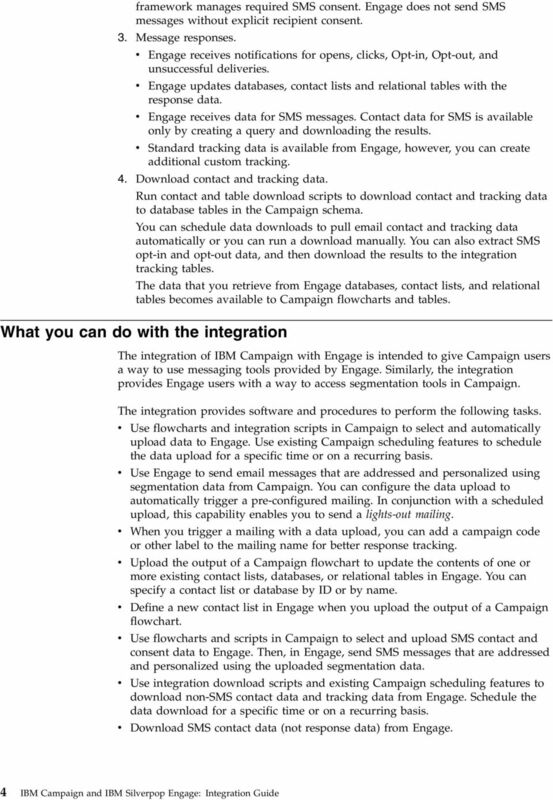 Download "IBM Campaign and IBM Silverpop Engage Version 1 Release 2 August 31, 2015. 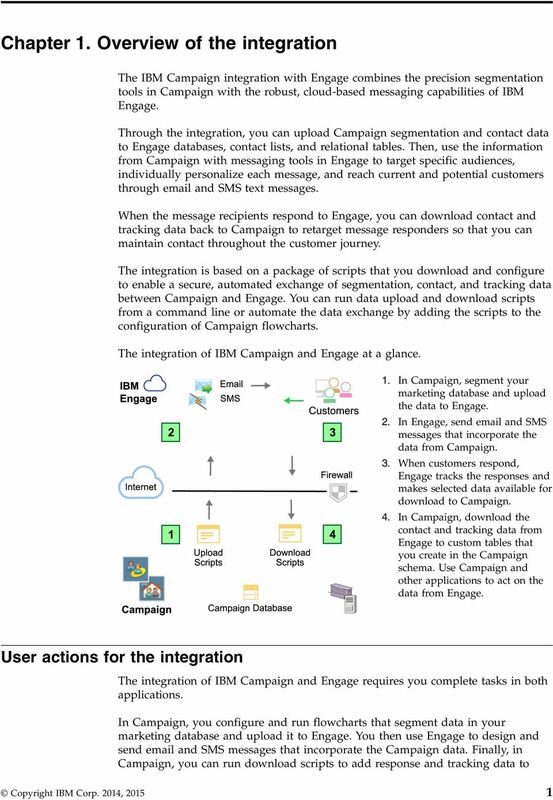 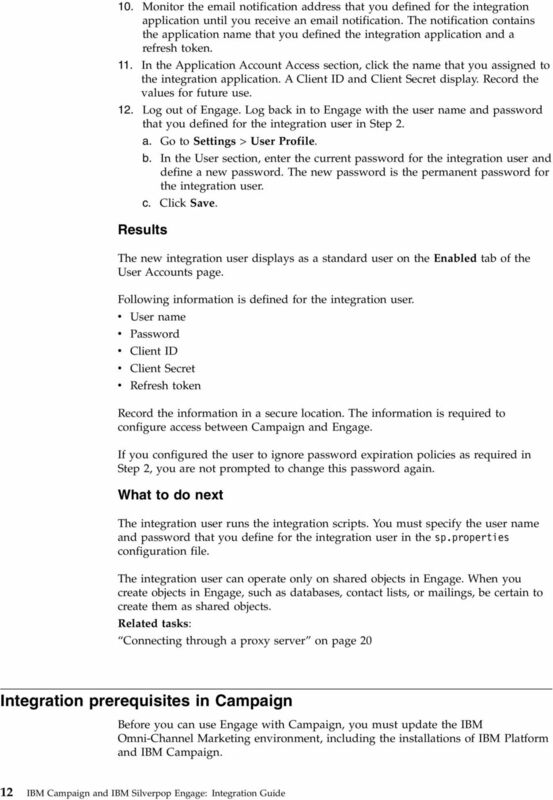 Integration Guide IBM"
2 Note Before using this information and the product it supports, read the information in Notices on page 93. 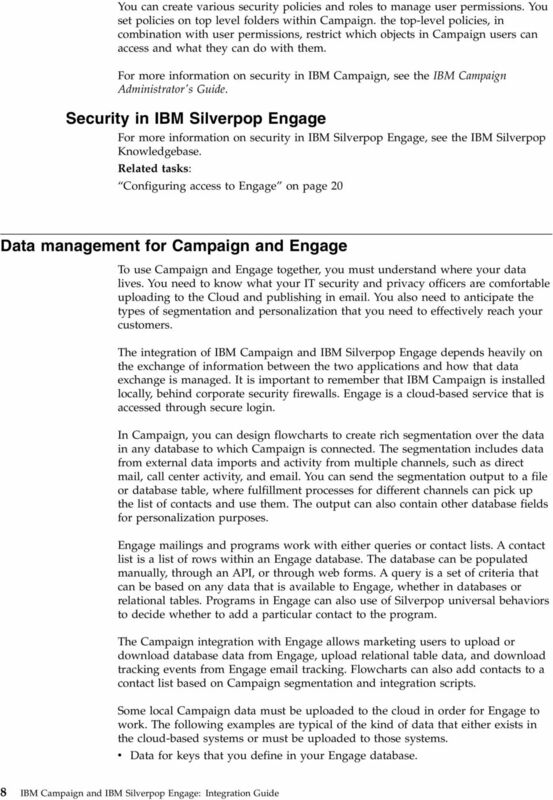 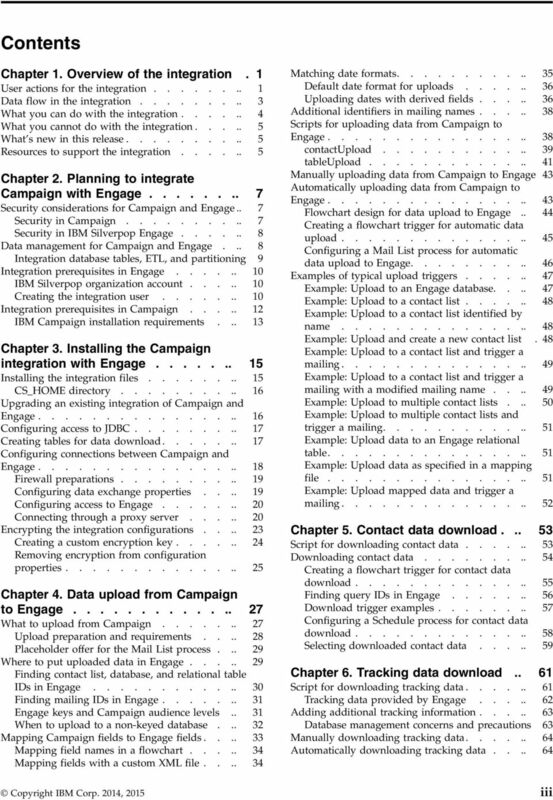 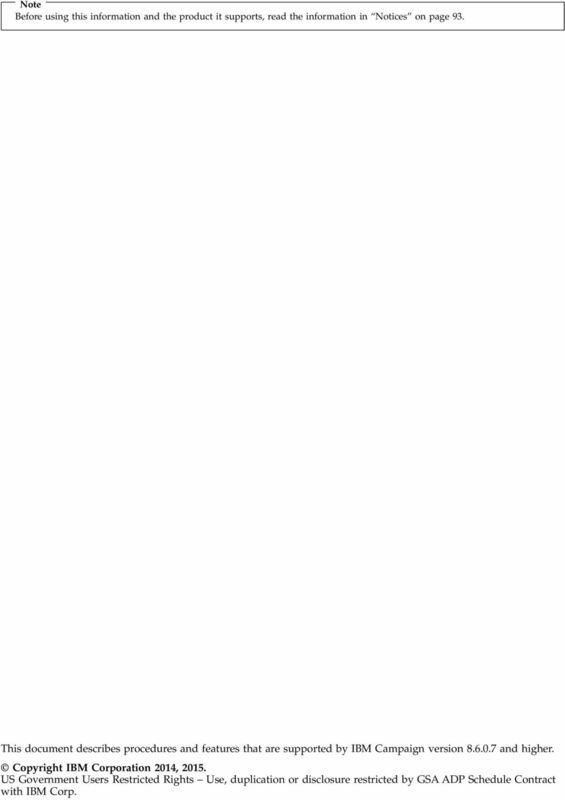 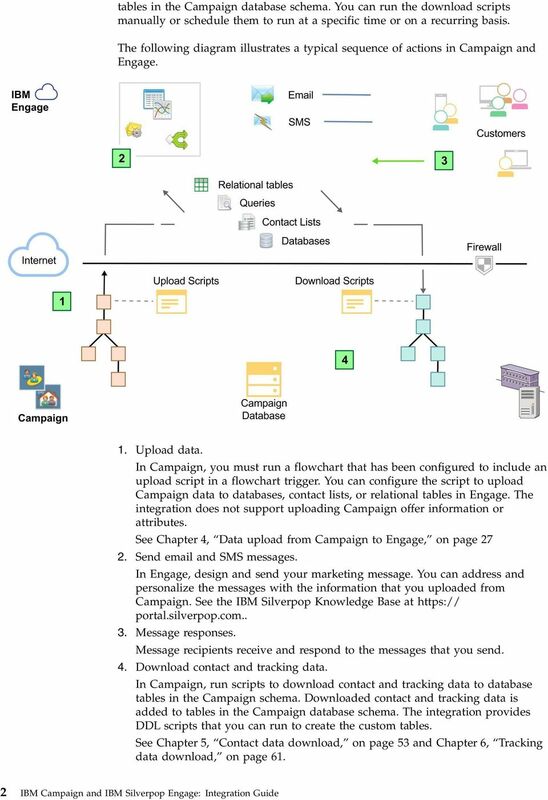 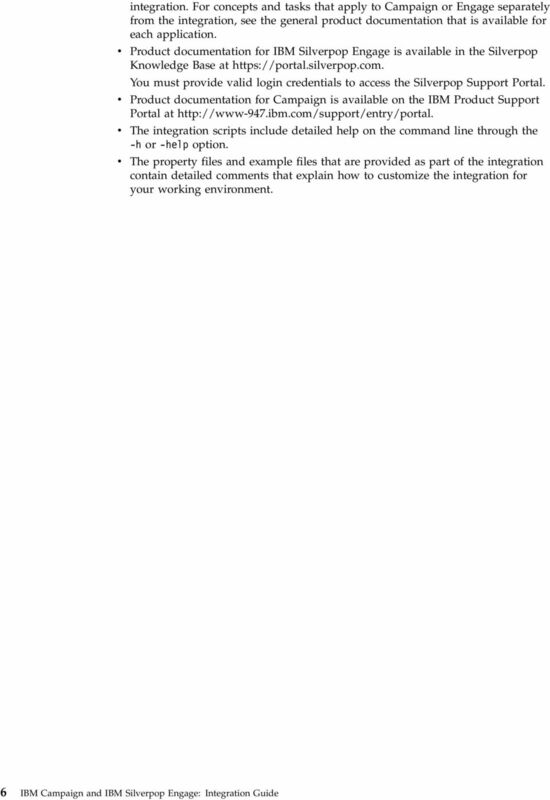 This document describes procedures and features that are supported by IBM Campaign version and higher. 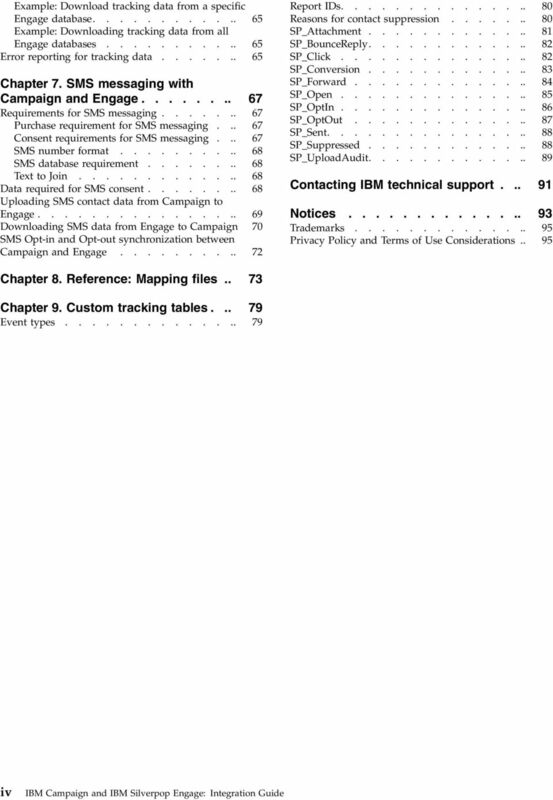 Copyright IBM Corporation 2014, US Government Users Restricted Rights Use, duplication or disclosure restricted by GSA ADP Schedule Contract with IBM Corp.
Sterling Call Center Upgrade Guide Release 9.2 Sterling Call Center Upgrade Guide Release 9.2 Note Before using this information and the product it supports, read the information in Notices on page 39.